The list of ten tips on acoustic guitar playing for beginners is certainly not groundbreaking. It’s not brain surgery either. It’s just a list of commonsensical, simple, yet surprisingly overlooked pieces of advice. Try them on for size and see if they help you improve. This may sound obvious, but there’s no getting around it. 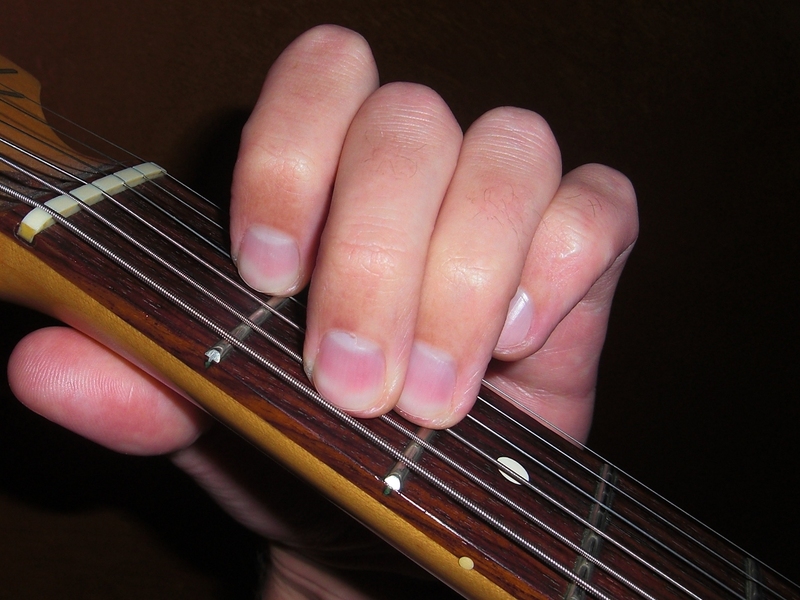 There’s no tip more important, when it comes to acoustic guitar playing for beginners, than learning the notes on the fretboard. You may get around other more technical aspects of the art, but the notes are the building blocks from where all the magic starts. The most important thing about chord types is that each has a distinct sound, or texture, as it’s alternatively called. In order to start producing acoustic blues on your guitar, you will need to familiarize yourself with the way each one sounds. … but start simple. Easier said than done, right? What’s the point of telling you to play, when that’s what you’ve been trying to do all along? The key thing to remember here is to start simple. Hum along to your favorite songs, until you feel you’ve gotten them right. Start off by strumming simple melodies. You’ll get the hang of it! It’s not about how many hours per day you spend learning how to play. It’s all about learning something new on your acoustic guitar, each and every single day. That’s how you’ll progress and move on from beginner to advanced player. Maybe you fancy yourself a true blue blues player. Maybe you’re more into folk, but take the blues as your inspiration. The point is to not get overly attached to a single style. Each style of playing the acoustic guitar can teach you something new and it’s up to you to go looking everywhere for inspiration. This one’s a bit more tricky. First, you need to know the theory behind acoustic guitar playing for beginners. Then, you can slowly forget it. Does that sound counterintuitive? The point is that there are tons of theories out there – but no matter how clever any one of them might sound, if it’s not producing wonderful music, then it’s useless. Think of all the skills you’ve ever mastered, from reading and writing to riding a bike, to more professional skills you use in your daily life. You didn’t learn how to use them overnight, did you? The same applies to learning how to play the blues. It’s going to happen, just give it time and take it easy. This is a more advanced tip, but it pays off, in the long run. If you think you can do it, then force yourself to learn how to play a song in more than just one key. This will give you versatility, self-confidence, range, and, in the long run, it will help you graduate from beginner player status. It’s important to devise your own mnemonic techniques for memorizing songs. It might sound like a drag, but you can’t go on playing by the tabs all your life – not if you’re serious about the acoustic blues, at least. Memorizing can be fun, especially if it translates into song, right? Comparing yourself to others might seem like an incentive at first. The sad truth, however, is that it’s just going to keep you from evolving. It’s important to think about why you play certain songs a certain way. It’s important to know why other players do the things they do the way they do them. But don’t become overly critical and don’t compare yourself to others. There’s no point to doing that.